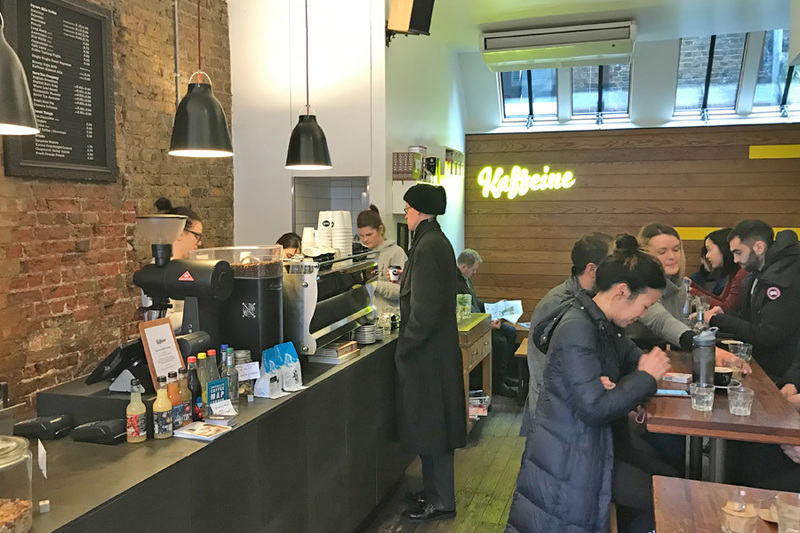 [London] After a flat white at Kaffeine, I thought I was in good hands for coffee in London. You don’t always get good coffee in other European cities. Opps. 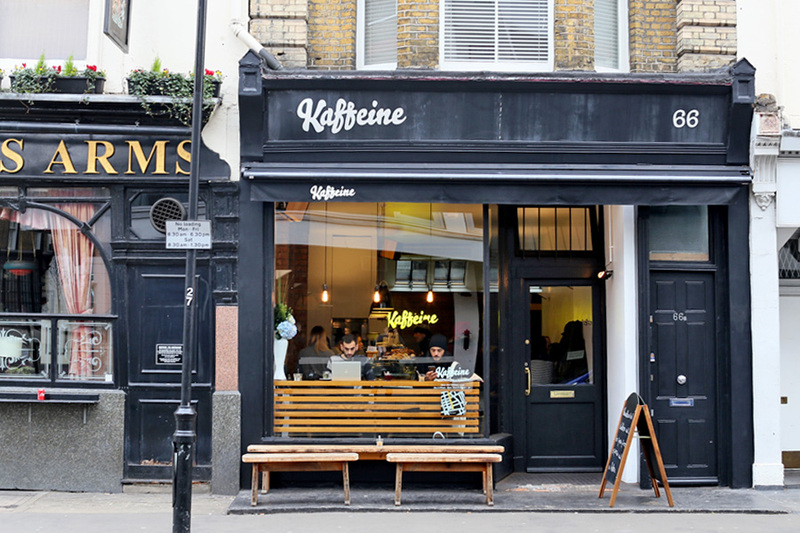 Opened in 2009, Kaffeine is one of the busiest cafes in London, considered a pioneer of the UK specialty coffee scene. 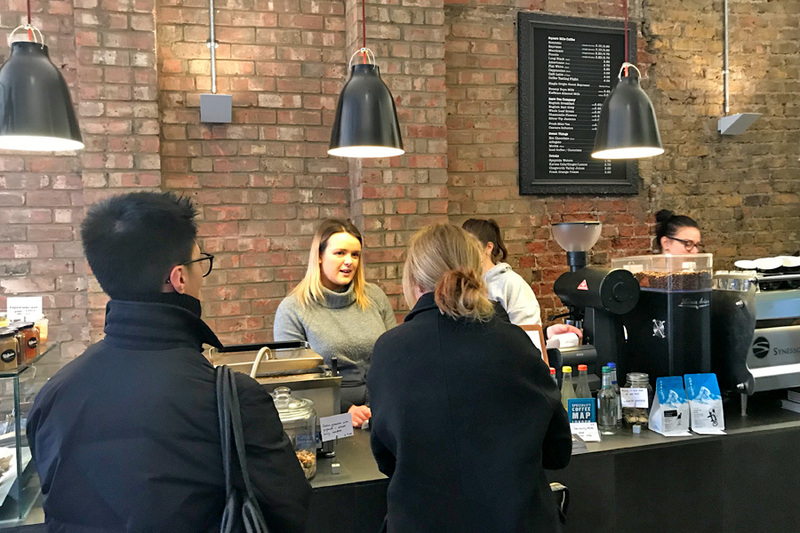 Some online reviews commented, ”Best coffee in London”. 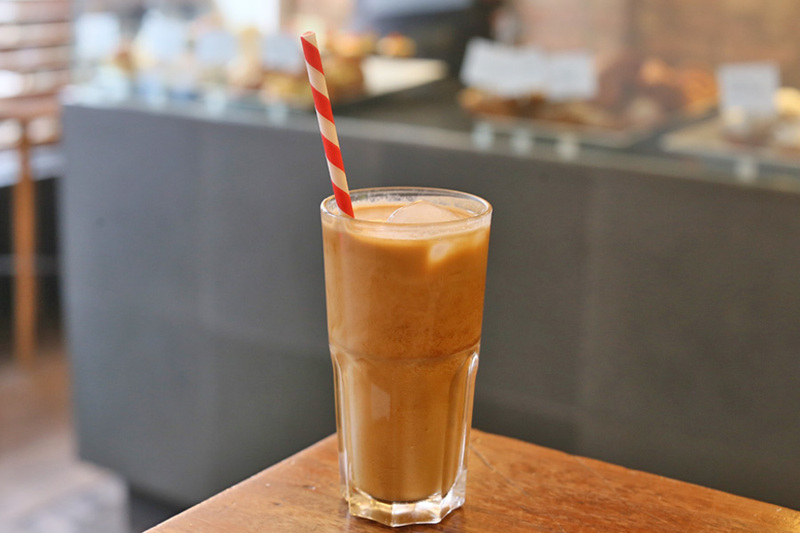 This independent New Zealand/ Australian owned café has two locations in Fitzrovia – of short walking distance from each other, and attracts both tourists and young office workers. 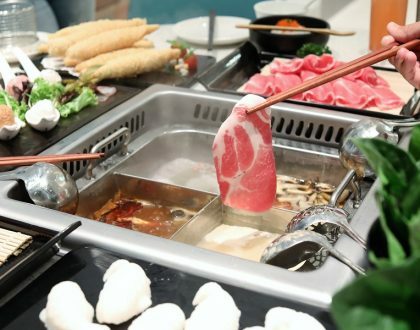 Expect to find well-crafted brews and a regularly-changing casual cuisine. 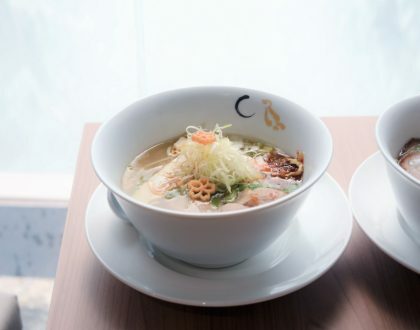 Keep in mind that this Fitzrovia café is usually packed with customers, especially during lunch hours. 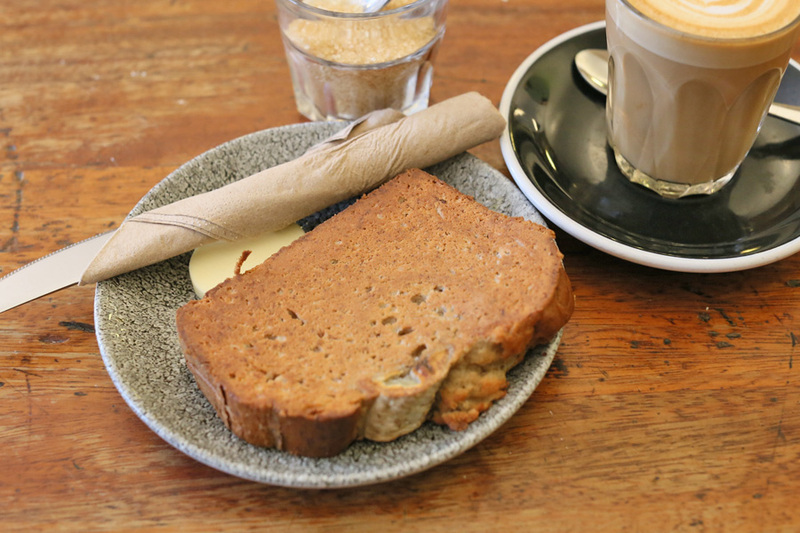 If there is no place to sit, you can have your coffee and snack at the counter. The interior is simple with white subway tiles and several oak benches where you can sit and enjoy your coffee. There is a simple black menu board and a yellow Kaffeine sign that gives this cafe a chic look. Service was friendly, and also functioned like clock-work. This is not quite the place you would sit for long hours, but would be one for reasonably priced and tasty coffee and food. 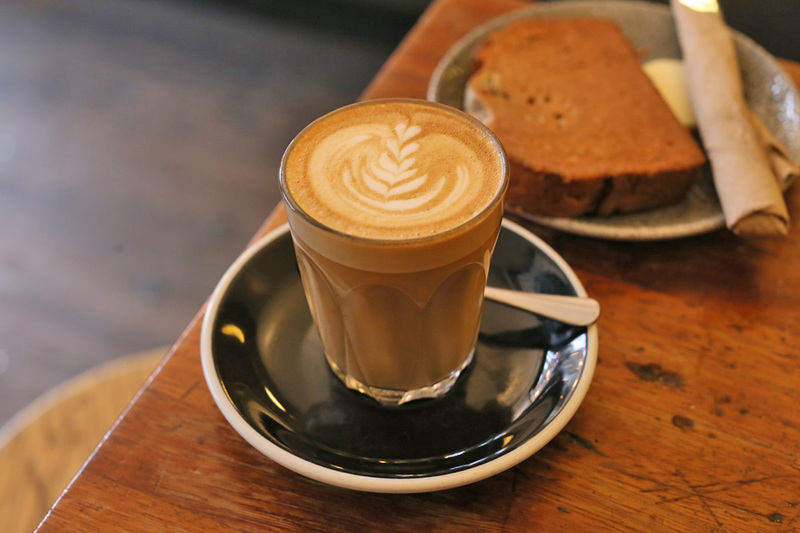 You get a variety from Café Latte, Cappuccino, Flat White, Long Black (£2.60 – £3.00, SGD4.70 – 5.40); a Coffee Tasting Flight (£6, SGD10.85); or rotational Single Origin “Guest Espresso” (market price). 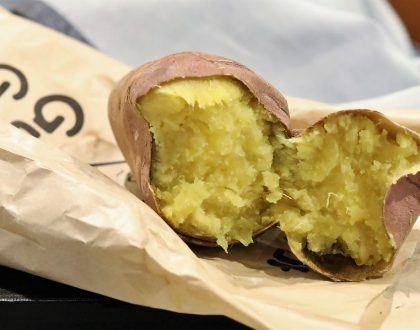 Besides professionally made espresso coffee, smooth latté, and loose leaf teas, they serve a variety of foods including salads, sandwiches, and baked goods. 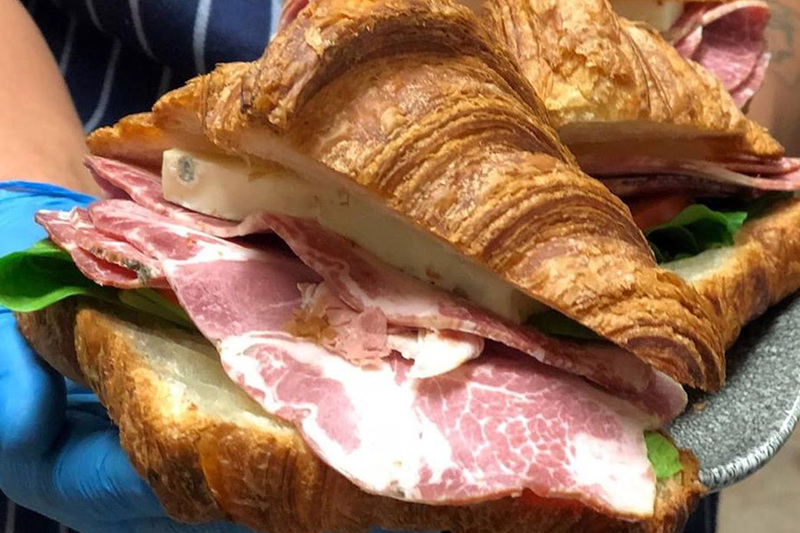 One of the to-get items is the buttery Croissant with Italian (Villanova) roast ham (£5.50, SGD9.95) with talleggio cheese, spinach and plum tomatoes, the highlight being the cheese which would melt over the ham after being toasted. 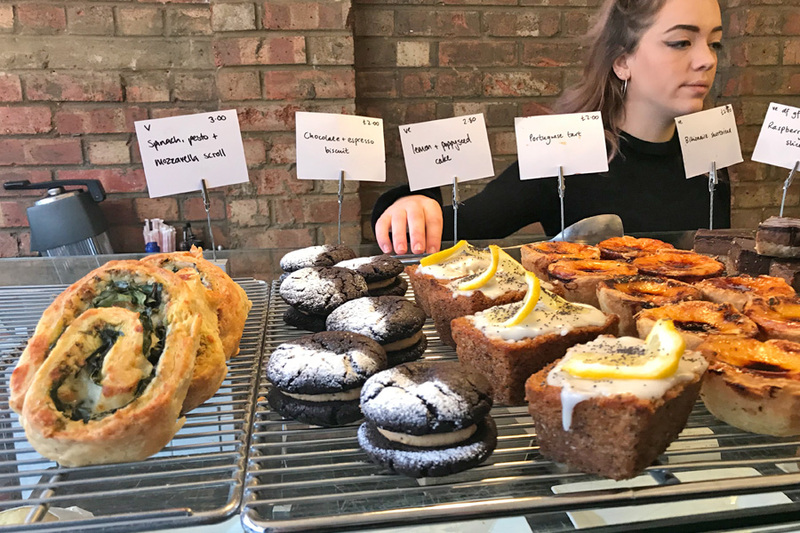 Other bakes include French Butter Croissant, Pain Au Chocolat, Almond Croissant from Seven Seed Bakery; and baked treats of Tiramisu Friands, Lemon and Poppyseed Cake, Moist Chocolate Brownies; and quite an awesome Banana Bread. All are priced between £2 – £3. 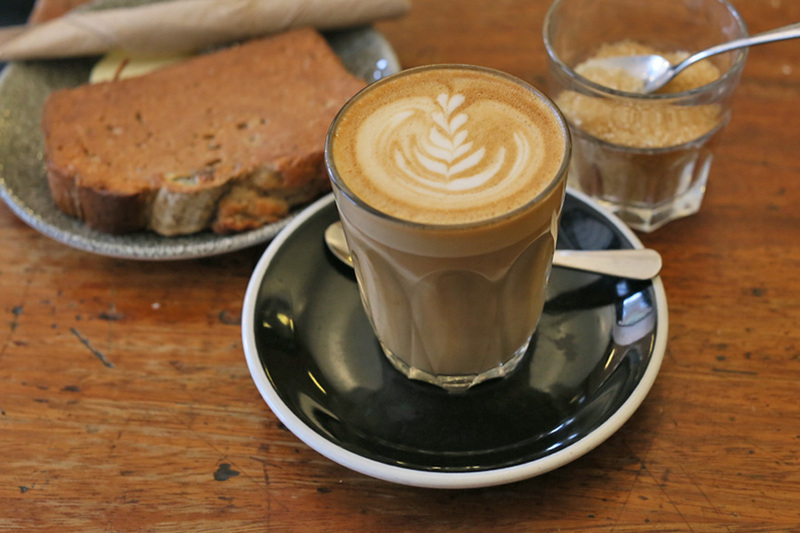 One of the most popular coffee spots in London and for a reason.